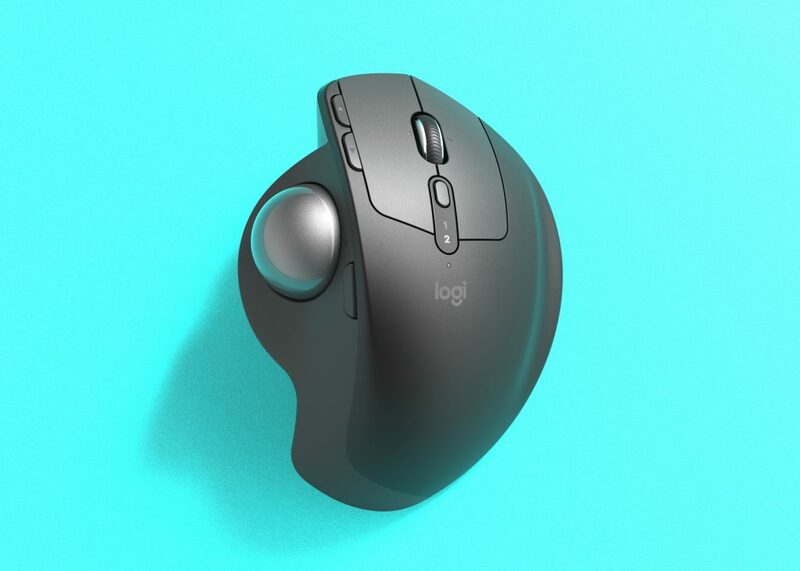 Nearly ten years after its last trackball, Logitech has just launched a new product that’s causing something of a stir. 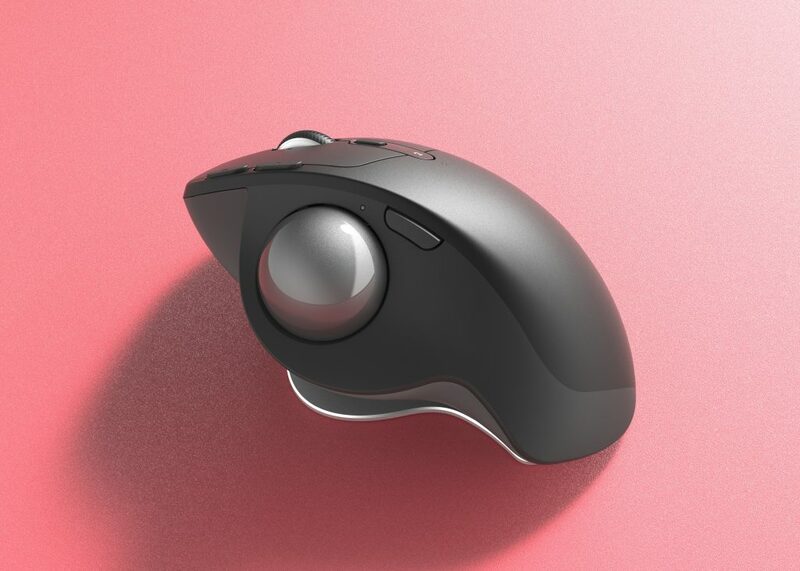 Pre-orders and reviews of the MX Ergo Wireless Trackball – designed in collaboration with Design Partners – have been spectacular for a product category considered by many to be dead in the water. So what just happened? The answer is some savvy market analysis coupled with innovative design. A number of factors created a perfect storm. Firstly, growing awareness that deskbound jobs contribute to sedentary lifestyles that are bad for our health. At the same time there’s plenty of medical evidence to show that regular posture change is good for us – human beings are mobile creatures and movement keeps us healthy. Healthcare professionals go as far as to recommend trackballs as an aid to RSI, sports injuries or general work-related discomfort. 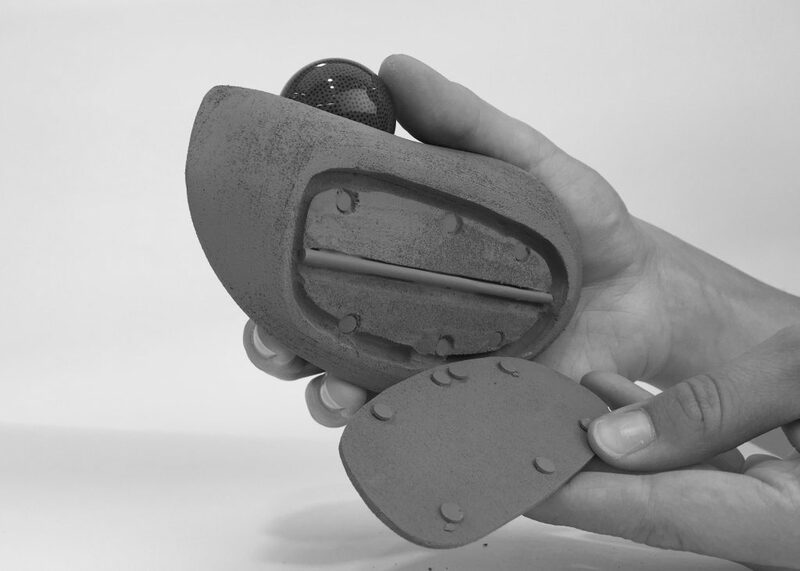 The challenge for us was to evolve the basic design concept of a trackball and deliver something more valuable than a mouse or trackpad substitute, ideally an artefact with health benefits that was beautiful, not utilitarian. A problem with “healthy alternatives” is that they are often perceived as a little dull and worthy, and “specially adapted” devices can make us feel self-conscious. This is why we focused from the outset on making the MX Ergo visually attractive, truly joyful to use and a little bit addictive. Bring that off and other benefits would follow. It would become a story about working better for longer, working healthier not harder. Naturally, the ergonomics would be crucial for success. We were able to draw on decades of experience, a rich history of exploration into the way people interact with handheld devices. Refined comfort and precise engineering became our mastery as we delivered a long line of award-winning game and computer peripherals. For the new trackball, we wanted users to experience mindful productivity that would keep them focused and in the flow of what they were doing. We started by sculpting the design, shaping contours to the hand for refined comfort and seamless control. The irony is that this kind of design is about delivering a great user experience that makes the engineering disappear, enabling the user to concentrate on the task at hand (quite literally, in this case). A precisely sculpted hand support with the trackball on its side gives the MX Ergo a distinct look as well as superior ergonomics, but what really sets it apart is the way it can be adjusted. On its base is a magnetic tilt plate and whisper cushion that allows you to smoothly switch posture without breaking your concentration. Not only is it satisfying to grip – there’s a reassuring click when you change angle – it also encourages regular posture change that keeps the blood flowing. Like a good office chair, you can always find a comfortable position. There was something of a eureka moment in the design room on the day our team landed on the idea of a magnetic plate. Much iteration followed as we explored the best ways to attach it and refine the user experience. By using the magnetic properties of the plate we ended up with an elegant engineering solution that is effortless to use. The Logitech MX ERGO is an example of why it sometimes makes sense to reinvent the wheel – or in this case, the trackball. Good design is about innovation, finding new ways to deliver benefits, even in what appears to be a mature product. It also highlights a unique strength of Design Partners, an insatiable appetite to keep on exploring in the belief that something better is always waiting to be discovered. Design Partners has a long history with Logitech and designed the firm’s flagship gaming mouse, learn more. The MX Ergo is visually attractive, truly joyful to use and a little bit addictive.